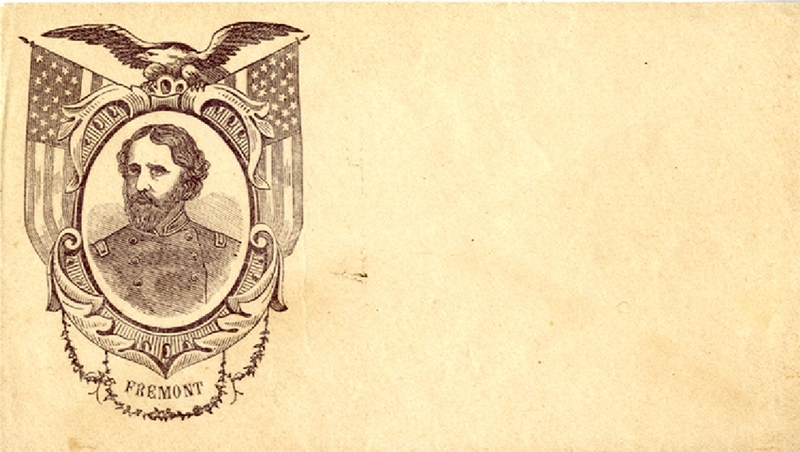 Patriotic cover of General John C. Fremont, with patriotic symbols. Fine condition. John Charles Fremont (1813-1890) was an American explorer, politician, and soldier who, in 1856, became the first candidate of the Republican Party for the office of President of the United States. During the 1840s, when he led five expeditions into the American West, that era's penny press and admiring historians accorded Frémont the sobriquet The Pathfinder.